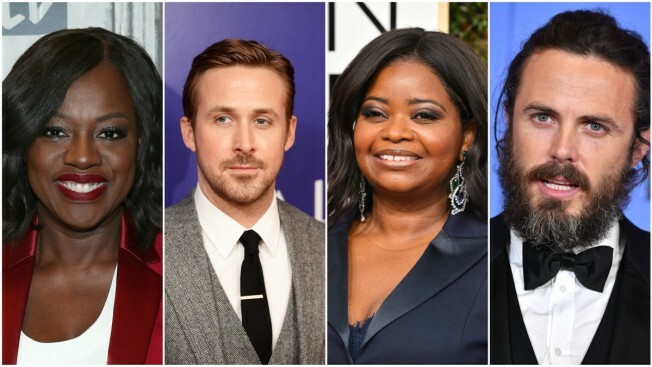 Viola Davis, Ryan Gosling, Octavia Spencer and Casey Affleck are among those who could hear their names called Tuesday when Oscar nominations are announced. The Academy Award nominations will be revealed Tuesday morning, just a year removed from the #Oscarsowhite controversy that dominated headlines in 2016. But this year Oscar watchers should expect a bit more diversity in the nominations, if recent Golden Globe nominations are any indication. Following two consecutive years in which no performers of color were nominated in the top acting categories, the Academy of Motion Picture Arts and Sciences made both cosmetic and systematic changes to it's voting system. Among the diverse slate of actors nominated for Globes in January were Ruth Negga in "Loving," Denzel Washington in "Fences," Octavia Spencer in "Hidden Figures," Naomi Harris and Mahershala Ali in "Moonlight," and Dev Patel in "Lion." Viola Davis took home the Best Actress Globe for her role in "Fences," while "Moonlight," with a predominantly African-American cast, won for best picture in the drama category. In a recent interview, "Hidden Figures" star Spencer said she hoped the success of the film and others with predominantly diverse casts would open the door for other major motion films to tell diverse stories. 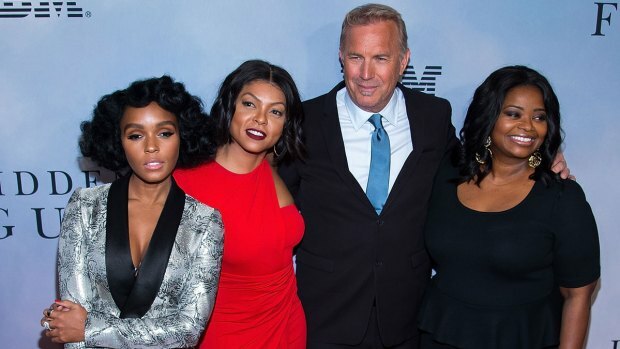 Actors Taraji P. Henson, Octavia Spencer and Janelle Monáe star in the Golden Globe-nominated film "Hidden Figures," alongside Jim Parsons, Kevin Costner and producer Pharrell Williams. They discuss female black empowerment from the point of view of Katherine Johnson - a black physicist and mathematician whose work contributed to the first manned space orbit around Earth. The film hits theaters Christmas day. This year there appear to be a handful of locks for nominations. Ryan Gosling and Emma Stone are sure to receive nods for their work in "La La Land." Gosling's main rival for the best actor statuette is likely to be Casey Affleck, who won the Golden Globe for his performance in "Manchester by the Sea." Likewise, Affleck's co-star, Michelle Williams, is likely to snag her fourth nomination, while Davis, who has already won both a Golden Globe and Tony Award for her work in "Fences," looks to go for the trifecta. The Academy Award nominations will be announced Tuesday at 8:15 a.m. EST.